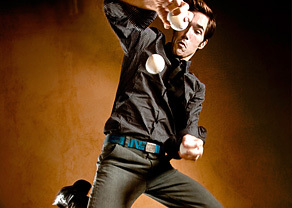 Josh got his start as a performer while still a kid, entertaining at talent shows, and community events. It didn’t take long before he was addicted to the applause, laughter and learning new skills. 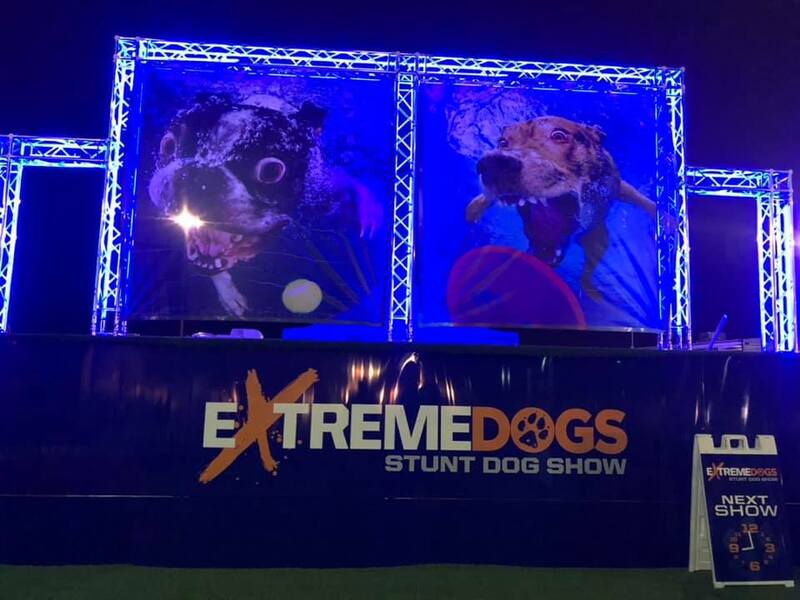 Josh’s career continued to expand by leaps and bounds (literally) and now packs his calendar performing for colleges, corporate events and theaters. 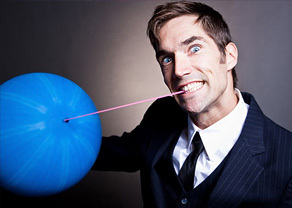 Besides two decades as a top-notch juggler, Josh earned a degree in Theatre Arts from Eastern Michigan University, performed stand-up, improv and sketch comedy, acted in plays and short films and even directed a comedy musical about video games. 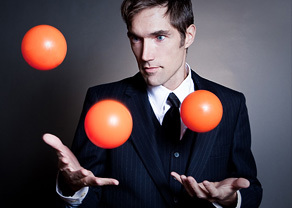 Josh lives in Madison, Wisconsin with his wife and has three young boys – the perfect number for a juggler. He can usually be found working out some wacky new bit for the show over at the Madison Circus Space.